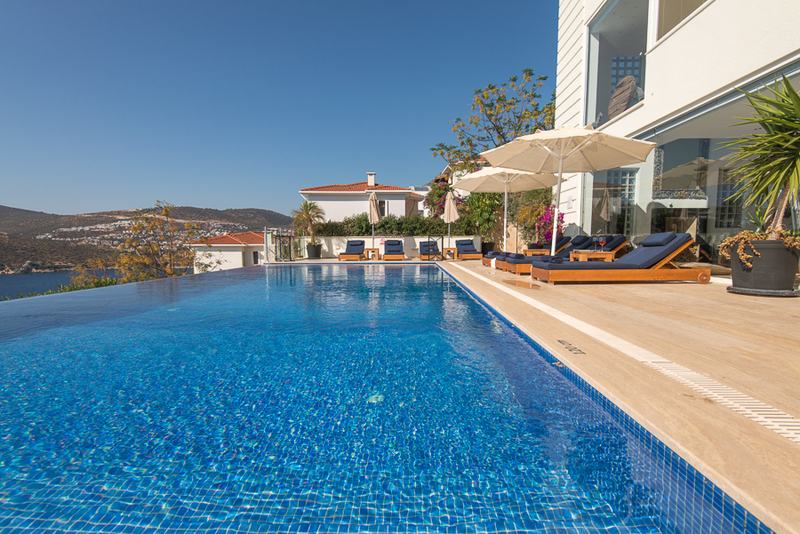 Why Visit Kalkan Outside High Season? 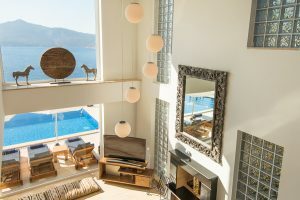 Most Kalkan addicts wouldn’t turn down an opportunity to travel to Kalkan any time of year; having said that given the choice, there are preferable or more advantageous times to visit. So, if you’re not restricted by school holidays or work holiday dates then here’s a few things to consider. 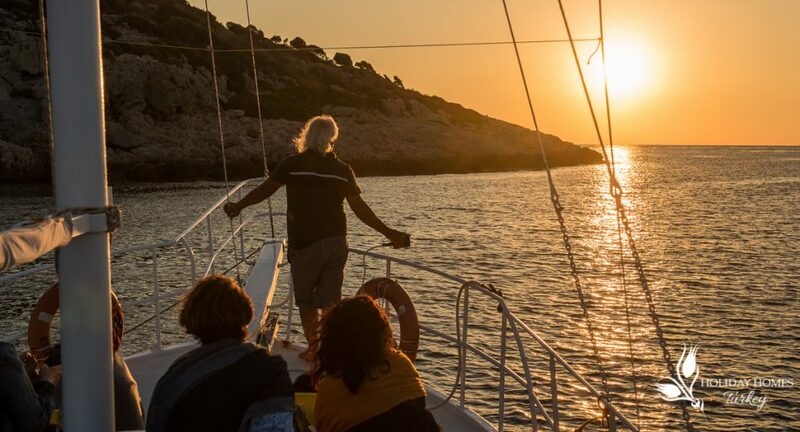 In the travel industry the low seasons either side of the peak seasons are known as shoulder seasons, so that’s April – May and September until the end of October in Kalkan. Outside that is the off-peak season which runs from November – March. To be honest, all the seasons have their attractions and it really depends on what you want from your holiday. We’re blessed in Kalkan with over 300 days of sunshine (just a wee bit more than the UK), and genuinely most days have a great deal of it. Of course, temperatures do tend to dip November – February but even then, most days will be much warmer than Northern Europe rarely going below double figures. So, it’s still possible, even during the winter months to walk around with just a light jacket or jumper on. And the restaurants that are open during winter have outdoor patio heaters as well as an indoor Soba – Turkish wood burning stove, which as well as giving off the obvious warmth really adds to the ambience. For the best of the sunshine and to extend your summer we’d highly advocate visiting during September and October. Temperatures although more comfortable than high season can still reach the late 20’s and as well as topping up your summer tan, it’s also pleasant enough to stroll as a sightseer. 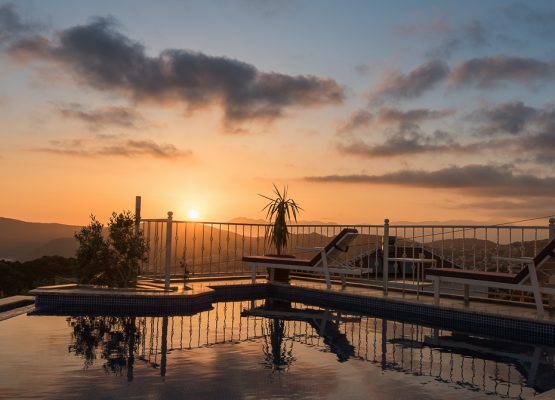 It’s a favourable time for those travelling with older relatives or younger children too, less slathering on copious amounts sun cream, unlikely dehydration, or heatstroke. If hiking or rambling is your thing then leaving this until the latter part of October or early April may suit you better as the ground should be dry and the temperatures are not too hot if you’re planning to cover long distances. We are fortunate to have on our doorstep part of the incredible, breathtakingly, beautiful Lycian Walk. As you climb each hill or round each bend the views spur you on with their increasing resplendence. 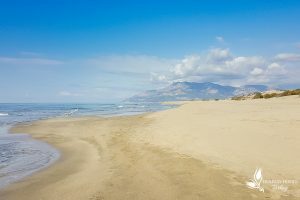 The walk we took culminated with a stunning sunset over Patara Beach – unforgettable! Here huge savings can be made on travel costs compared to peak season. 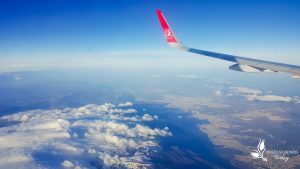 For the same flights you’d book during the summer for around £500 you may well pay less than £200 outside school holidays! Your accommodation options will be far greater in terms of availability and of course more attractively priced. 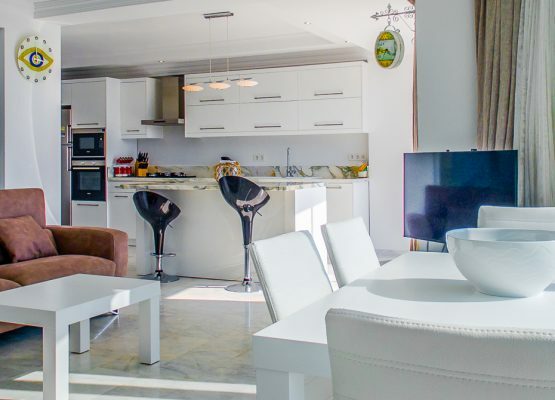 In fact, you may consider a slightly more luxurious villa or apartment as, for example, the price you will pay for a 7-bedroom villa in low season would be the rental cost of a 3-bedroom villa in the height of the season. An excellent opportunity to get a group of friends together! If you’re the sort of person that likes to explore areas and wander at your own pace without having to fight your way to see the sites then, although, Kalkan and it’s local historical sites and trips are not busy like Pompeii for example, the main attractions are noticeably easier to get around and study in closer detail without the crowds. A definite advantage in our minds not to have to queue for entrances or squeeze on the boat deck to sunbathe. The same goes for the simply gorgeous golden beaches, literally miles of space. 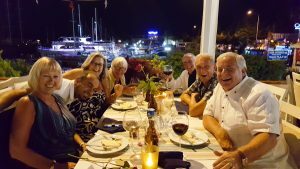 Kalkan is renowned for it’s friendly welcome wherever you go, but out of season it just gets better as the locals have even more time for you. It’s very common to be given Cay (Turkish tea) when you are in a shop, invited on a boat or have the kids entertained by the owners/ waiters of a restaurant performing a little magic. Generally English is widely spoken and the Turks adore a slower pace of life with many traditional customs they are happy to share with you. Striking up a conversation with a Kalkaner is never a difficult thing – leaving may be! 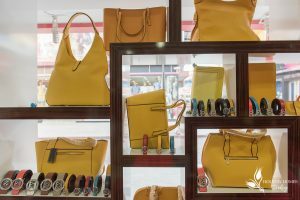 Outside the summer season you’ll find shopkeepers more likely to give you that little bit of an extra ‘end of season’ discount which makes items such as handbags, jewellery, art and boutique clothing, gratifyingly inexpensive and more than attractively affordable. Holidaying during off peak months means you’re more likely to meet others with similar interests to you and you’ll be able to easily strike up a conversation to compare notes on restaurants, historical sites and places off the beaten track. 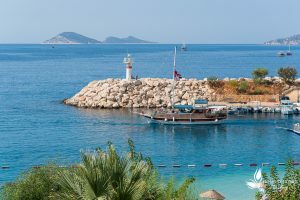 In short if you enjoy a relaxed, slower pace, without the bustle; pleasant weather and emptier beaches, then, visiting Kalkan off season is a superb option for you and we look forward to welcoming you through Holiday Homes Turkey.